The Wellington Phoenix’s past few seasons were agonising, for fans and the club alike, consistently falling well short of the top six. This, along with a consistently poor attendance record, has raised alarm bells regarding the club’s A-League future. in an A-League playoff position and thus challenging for the title. Naturally, attendance at Westpac Stadium is on the rise as an exciting brand of football has returned to the capital alongside positive results. So, what is the catalyst for this resurgence? 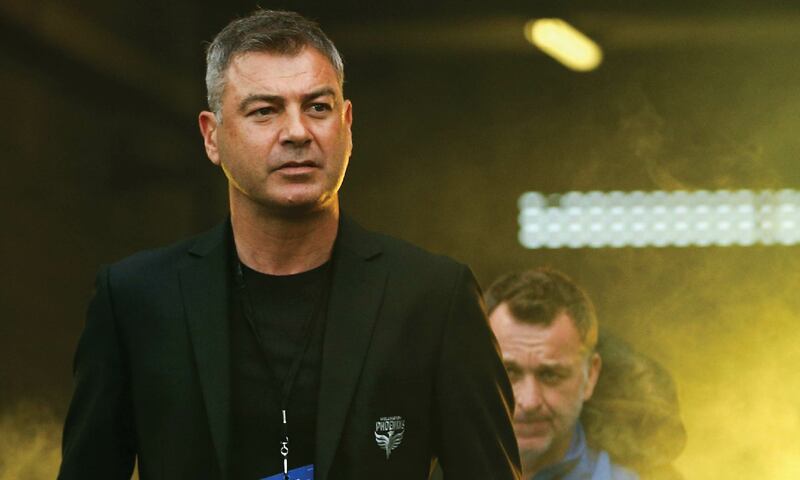 Mark Rudan. Rudan’s appointment as coach has sparked significant changes across the club, not just on the field, but also in terms of team culture and mentality. The Australian insisted on introducing traditional Maori rituals and values to the team culture. The hongi – a Maori greeting involving the touching of noses – is among those adopted traditions and has replaced pre-match high fives in the changing rooms. "I felt there needed to be some action or a symbol that we could introduce that is part of who we are as a football club and what we represent,” Rudan told Stuff. “I saw it on TV, the touching of the noses and how it's meant to breathe new life into the other person. I thought 'this is superb, I'm going to use this',” he said. Both the hongi and Rudan have indeed breathed new life into the players, especially young Kiwis whom had stagnated such as Alex Rufer. Rufer failed to impress in past seasons as an attacker but has become a key figure since shifting into the heart of midfield. Rufer’s work ethic and ability to retain possession has been instrumental to recent success, allowing star strikers Roy Krishna and David Williams more space to make runs in behind, while also solidifying the defence. The most notable change, however, is this new gritty never-say-die mentality instilled in the team. This has earned the Nix points regularly this season against the run of play, where they would have conceded previously. Polish goalkeeper Filip Kurto is also largely to thank for this, making crucial saves. Further, ex-Newcastle United and Premier League defender Steven Taylor has been a rock in defence and is a natural leader, providing Captain Andrew Durante with exceptional support in an area that was significantly lacking. The Wellington club’s recent success has not gone unnoticed, with Mark Rudan considered a favourite for A-League’s Mid-season Coach of the Year while Roy Krishna is a firm favourite for Mid-season Player of the Year. Phoenix players also feature regularly in A-League Team of the Week’s, and Krishna was the first in the club to be included in FIFA Team of the Week after his inspiring performance in a 3-2 comeback win over Central Coast Mariners. So, how far can the Phoenix go this season under Rudan? It is difficult to tell as recent defeats to title favourites Perth Glory and Sydney FC suggests they are still very much a work-in-progress. But they have certainly risen from the ashes, exceeding expectations, now looking to the sky.